When I check the services lcdproc shows stopeed, I try to restart it and the same error shows in the system logs, I have tried other drivers that are compatible with ST7060U, and I get the same error. have you tried an alternative port for COM2 (dev/cuau1)? Also, have you tried to lower the port speed? 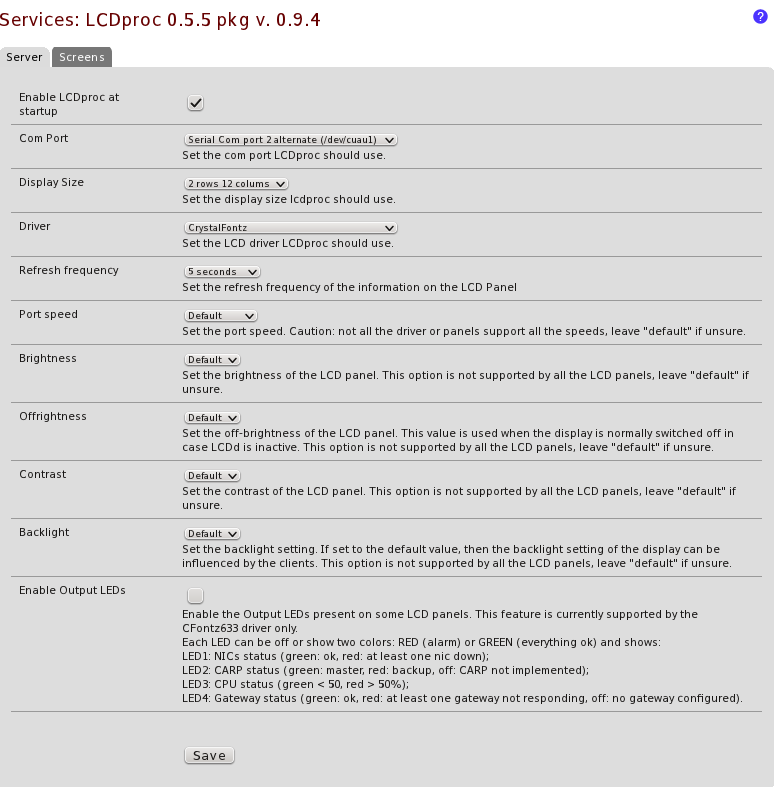 Both options are available on the lcdproc-dev package. I've tried changing port speeds, content, but no luck…any clues ?